Sheffield was so well stocked with record shops in the 70s and 80s that there wasn’t much need to travel out of town. 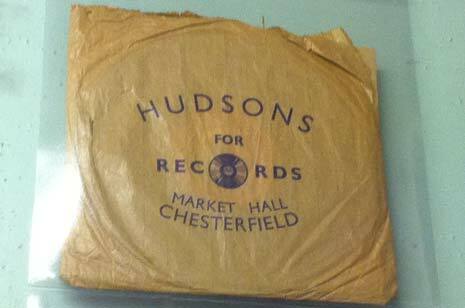 Had I lived in nearby Chesterfield though, chances are my time would have been spent in Hudson’s Record & Tape shop in the market square. In recent years I visited more often. Chesterfield has retained a lot of the smaller independent shops and still has a great open air market, features Sheffield has largely lost. 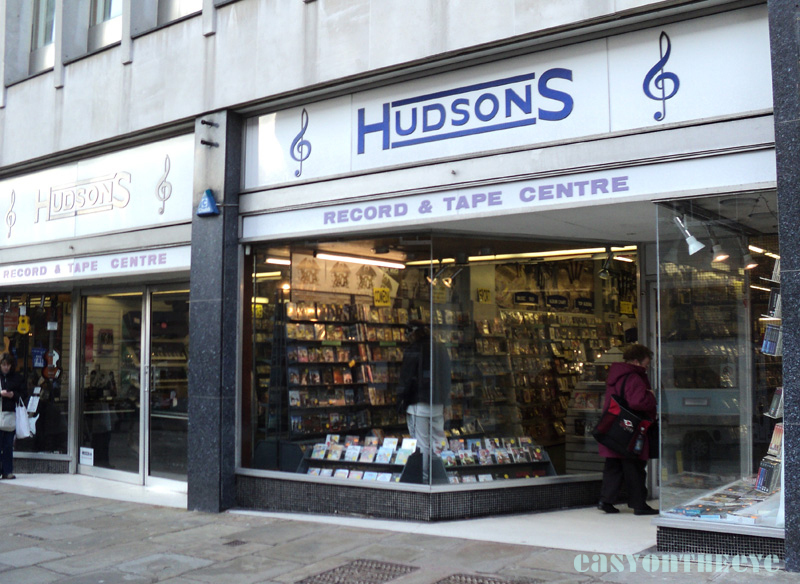 But even here the pressure from property developers and landlords is biting and Hudson’s finally closed in 2012 after an amazing 105 years trading, the last indie record shop for miles and apparently the oldest family run record shop in the world. Way to go Chesterfield Council, not supporting such a unique asset. 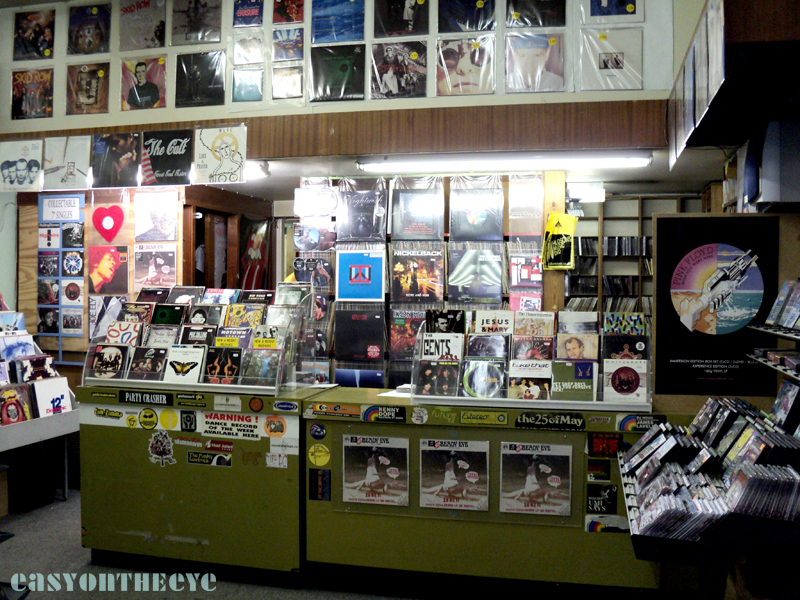 To be truthful the shop, still run by a member of the family, Keith, had been struggling for some time; the small but well stocked vinyl corner of a few years ago reduced to a shadow of it’s former self, CDs replaced by ever growing racks of cheap DVDs, and the musical instrument section falling by the wayside. Yet for much of that 100+ years the shop had been a mainstay of the town’s musical scene, and it’s disappearance has been much mourned by locals. Many of whom had of course gone to online buying to save themselves a few bob. I’m not too familiar with the firm’s history, though they started life at the Market Hall (opposite their last shop); certainly I have bags and sleeves from there. I think the block they ended up in was built in early 1970 and Hudson’s moved in right away, around 1971. Their fascia and shop front would seem to have remained unchanged since. Keith was interviewed for both the book and film Last Shop Standing, and has been invited to events marking the opening of the film. It’s a terrible thing that all the knowledge our staff have got is likely going to disappear. We obviously keep up to date with everything, but we also go back and we do try to help people when they’ve come in with complicated requests – but that is going to go and there’s no where else for it to go to. Lots of people are distraught. We’ve had tears on the counter and part of the shock is that fact that many people don’t know where they can go to get specialist things. They can go on the Internet, but a lot of older people don’t go on the Internet and don’t want to go on the Internet. The photographs of the bag and Keith (taken on the day of closure) are © The Chesterfield Post / Karen Johnson. Thanks for allowing us to use them. 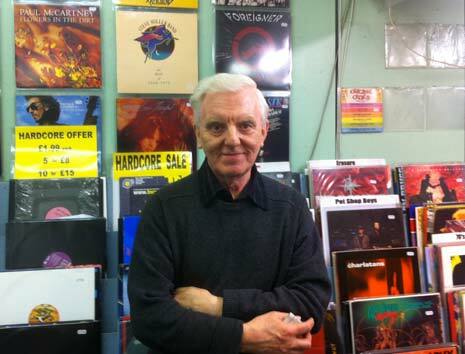 We used to spend every Saturday afternoon in the markethall at Hudsons records in the late 50s and 60s. I remember having my ears pierced with a piece of wire by a friend listening to Cliff Richards! It was the in place in my teen years for Saturday afternoons; got many a hot date to Jimmys from there and yes we did buy all our records there! Pat. Great place I shall sadly miss, thank you for the tunes. That would before Chesterfield council “redeveloped” the Market Hall or “redeveloped it again” this year (and totally destroyed the atmosphere! ).